Raúl Labrador was one of twelve Republicans who refused to vote for John Boehner for Speaker of the House. Raúl Labrador voted to stop the IRS from targeting non-profit groups based on their political views. Raúl Labrador has repeatedly voted to repeal ObamaCare in its entirety and to block the law by defunding it. Raúl Labrador voted to stop the NSA from spying on all Americans without a warrant. 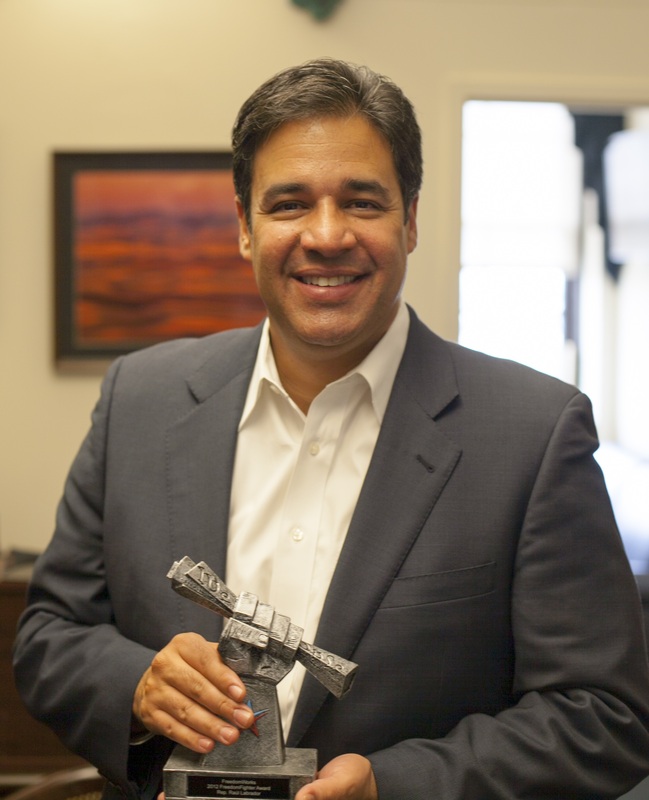 Raúl Labrador voted to limit the EPA’s power in the war on coal. Raúl Labrador voted for the REINS Act to require a congressional vote on all major regulations. Raúl Labrador voted to block the IRS from enforcing ObamaCare. Raúl Labrador voted to block the FCC from regulating the internet. Raúl Labrador voted to fully audit the Federal Reserve. Raúl Labrador voted to reauthorize offshore drilling in Gulf of Mexico to promote America’s energy independence. But he will not do anything to stop the invasion of America by illegals from the south? A group of liberty-minded House Republicans made waves in late January when they announced that they were leaving the Republican Study Committee to form a new invitation-only caucus that will focus exclusively on presenting and advancing an agenda grounded in limited government and the Constitution. Why is FreedomWorks backing Representative Raúl Labrador in his decision to challenge Rep. Kevin McCarthy and run for House Majority Leader? FreedomWorks is mobilizing its membership to urge Rep. Raúl Labrador (ID-1) to run for House Majority Leader, following Eric Cantor’s resignation after his primary upset. Activists are calling on Rep. Labrador to run, as well as contacting their representatives in the House to support him. The leadership election will be on June 19, with Rep. Kevin McCarthy (CA-22) currently the only one in the race.